The Claddagh Ring is a traditional Irish Ring that represents love, loyalty, and friendship. I had never heard of a Claddagh Ring until my recent trip to Ireland. Once we walked into our first jewelry store and saw one in Galway I knew the Claddagh Ring was a big deal to the Irish. I had to learn more about the famous ring and what it meant. The Claddagh Ring is a traditional Irish Ring that represents love, loyalty, and friendship. The Celtic Ring always has two hands holding a heart in the middle. There is a crown placed on top of the heart. The hands represent friendship, the heart is for love, and the crown represents loyalty. Where is the Claddagh Ring from? The first Claddagh Ring was made in Galway about 400 years ago and was inspired by Roman “Fede” rings. The Gaelic word, “Cladach”, means beach or rocky shore, which symbolizes where the first Claddagh ring was made. 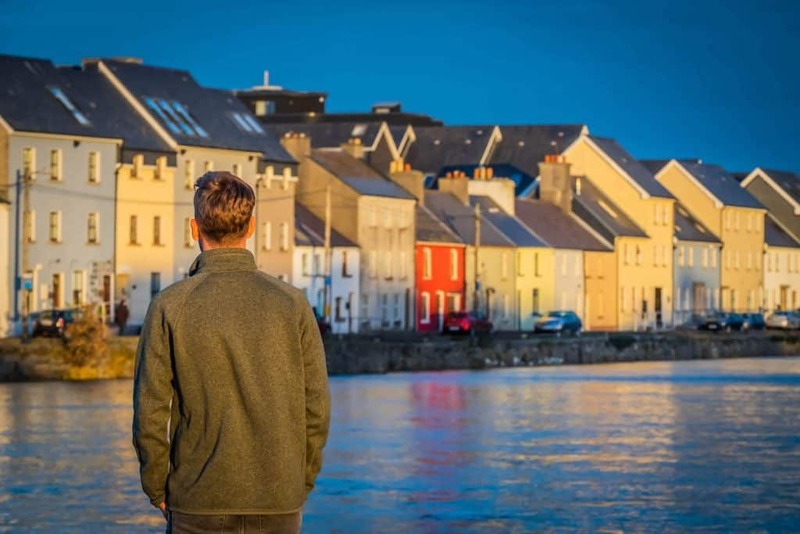 It’s believed that the Claddagh Ring was first made in the small fishing village of Claddagh just outside Galway City, where the River Corrib meets Galway Bay. 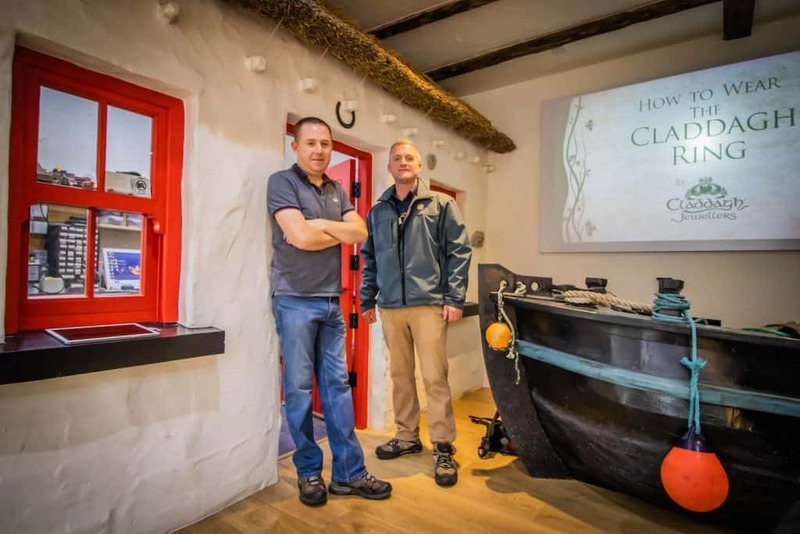 You can still easily visit The Claddagh while exploring Galway today. What Does the Claddagh Ring Mean? Traditionally Claddagh Rings were given in celebration. 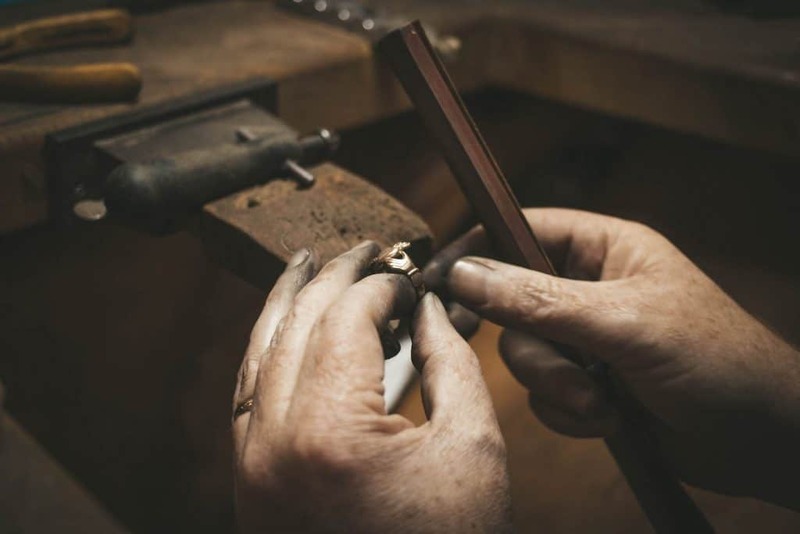 That can mean a celebration of romantic love between two partners, a promise ring between two young lovers, an engagement or wedding ring band, or even an Irish friendship ring. We’ve also seen that it can be given us a union between mother and daughter, sisters, brothers, or any combination of family loyalty. Today, many of the Irish have the Claddagh Ring for different reasons. 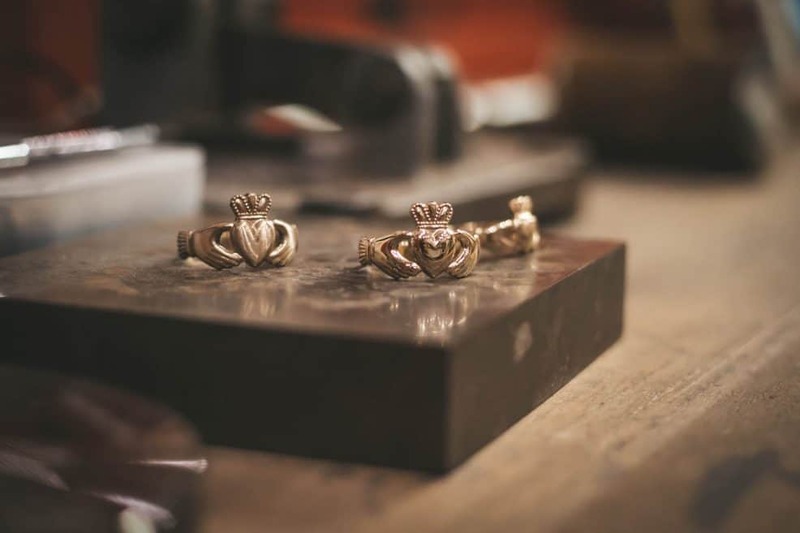 It’s also popular for tourists to buy Claddagh Rings, especially those with Irish Heritage and give them to their loved ones upon returning home. The Claddagh Ring is one of the most beautiful souvenirs you can bring home from your trip to Ireland. You can easily buy the Claddagh Ring in Galway, but they are also readily available in Dublin and other major cities in Ireland. If you can’t make it all the way to Ireland for your Claddagh Ring you can also buy one online and have it shipped to you! Originally Claddagh Rings were worn in The Claddagh village of Galway to show marital status. If an individual was looking for marriage and courting they would wear the Claddagh Ring on the right hand with the heart facing out. This would show that the heart had yet to be taken. Once betrothed the ring would be flipped and the heart would face inwards on the right hand to show the heart had now been taken. Once married the ring would be switched to the left hand with the heart still facing inwards, symbolizing a wedding band and the union between two people. Even in modern times, the tradition is still very similar. Nowadays the two main ways to wear the Claddagh Ring are with the heart facing in or out. Traditionally, to show that your heart is taken you would wear the Claddagh Ring with the heart facing towards you (crown away from you). If you are still open to receiving love you wear the ring with the heart bottom pointing out (crown towards you). But remember the meaning of the Claddagh is unique to you and the person that gave it to you. You can wear the Claddagh Ring on any hand and finger. The Claddagh Ring is not only for women. It’s very traditional for both men and women to have a Claddagh Ring. Cladach was originally pronounced like KLAD-UKH with a harsh ending. You watch this awesome Irish gentleman pronounce Claddagh here. Where to Buy an Authentic Claddagh Ring? We personally got ours from Claddagh Jewellers Ireland in Galway City. They have a prime location on Eyre Square Centre and it is extremely hard to miss at the intersection of Shop Street, High Street, and Mainguard Street. Claddagh Jewelers are part of a family run jewelry outlet in Ireland and have a long name in the game for over 50 years. They sell all kinds of unique Claddagh Rings ranging in many different price ranges. Whether it be silver, gold, or platinum they have a Claddagh Ring for you! If you are looking to have some color in your Claddagh Ring it’s common to have gemstones placed in the heart. You can buy both men’s Claddagh Rings and women’s Claddagh Rings here. They also have cheap Claddagh Rings for under €40 so you don’t have to break the bank to buy this Irish Jewelry. We had the opportunity to film and get all the details of the Unique Claddagh Ring at Claddagh Jewellers. Check it out here! Plan your trip to Ireland! You never know what can happen abroad, and that’s why we always travel with travel insurance with World Nomads. Their plans are flexible and affordable. We love to drive ourselves around Ireland. We’ve done it every time, just remember they drive on the left. Compare prices here! We found the tap water in Ireland more than fine to drink, if you want extra assurance then we love traveling with our Lifestraw Go Waterbottle. More than anything it’s about reducing plastic waste. Read more about that in our best water bottles post. Remember that Ireland uses the three-prong British plug. Make sure you have one for visiting! They’re the reason we made this trip to Ireland and we love to have a physical copy of a guidebook. Pick up Lonely Planet’s Ireland guidebook. No matter what time of the year you visiting Ireland you should pack a rain jacket and good walking shoes. 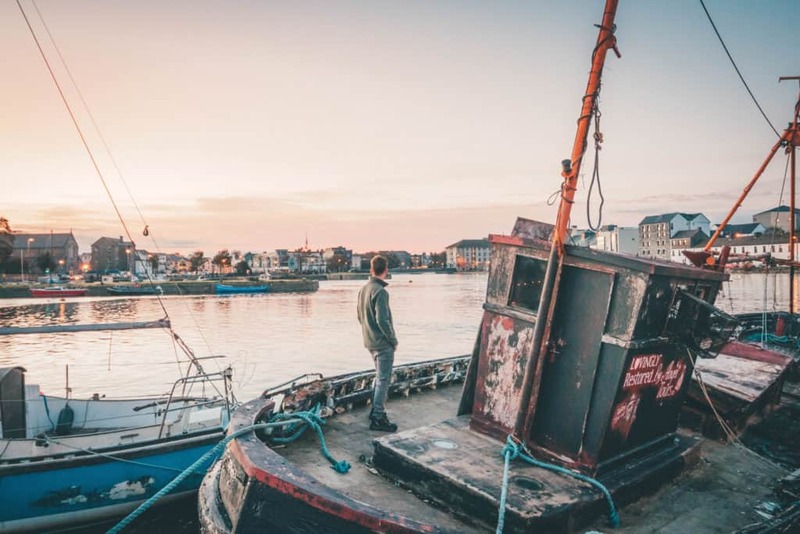 See our full Ireland packing list here.